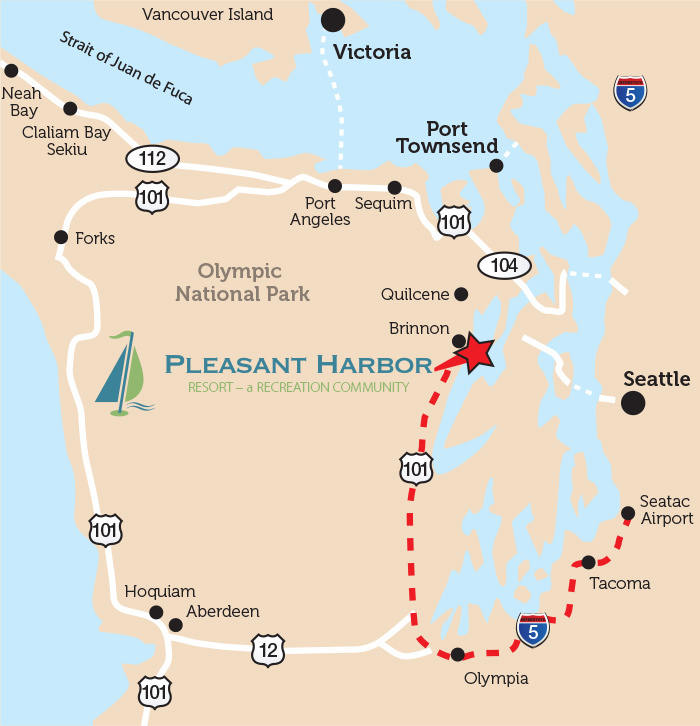 Pleasant Harbor Marina is located approximately 2.5 hours from Seattle, approximately 2 hours from SeaTac Airport and approximately 3.5 hours from downtown Portland. From South Seattle, Tacoma and Olympia: Take I-5 south, just pass Olympia to exit 104, which is for Highway 101 north. Stay on Highway 101 do not go onto Highway 8. You will go past Shelton, Potlatch, Hoodsport, Lilliwaup, and Eldon. The Pleasant Harbor Marina is found 1/10 of a mile past mile marker 309. The physical address of the marina is 308913 Highway 101. 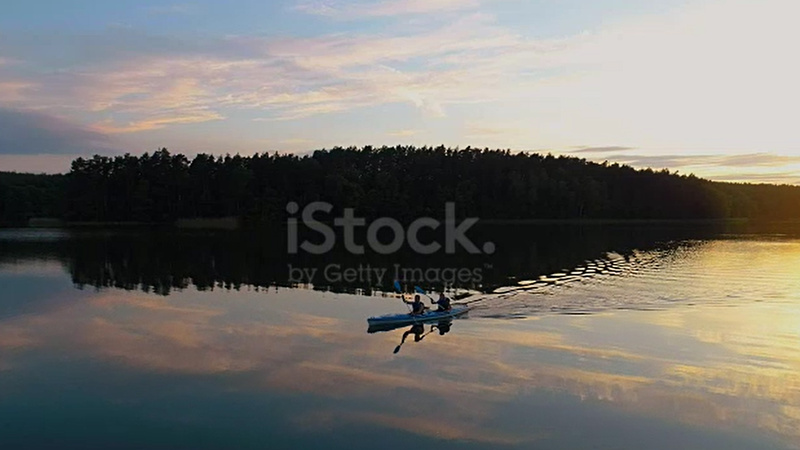 You will make a right hand turn into the marina. From Bremerton, Silverdale, Poulsbo: Follow Highway 104 across the Hood Canal Bridge, take the Quilcene exit 12 miles after the bridge, watch closely, and slow down. Then take a right onto Center Road until you reach the intersection of Highway 101 and Center Road at Quilcene, approximately 8 miles. Take a left onto Highway 101 for a 10 mile journey over Mt. Walker to Brinnon, and then start looking for mile post 308. The marina is 9/10 of a mile past mile marker 308. You will make a left turn into the marina. From Edmonds and points North: Take the Edmonds ferry to Kingston and follow Highway 104. Turn right at light to Port Gamble, on Hwy 104. Go across the Hood Canal Bridge, take the Quilcene exit, 12 miles after the bridge. Then take a right onto Center Road until you reach the intersection of Highway 101 and Center Road at Quilcene, approximately 8 miles. Take a left onto Highway 101 for a short picturesque 10 mile journey over Mt. Walker to Brinnon, and then start looking mile post 308. The marina is 9/10 of a mile past the mile marker. The physical address of the marina is 308913 Highway 101. You will make a left turn into the marina. We are 17 miles south of the Hood Canal Bridge. From Oak Head a 240 degree compass heading will take you to the harbor entrance. Pleasant Harbor Marina is the second, larger marina when entering the harbor. 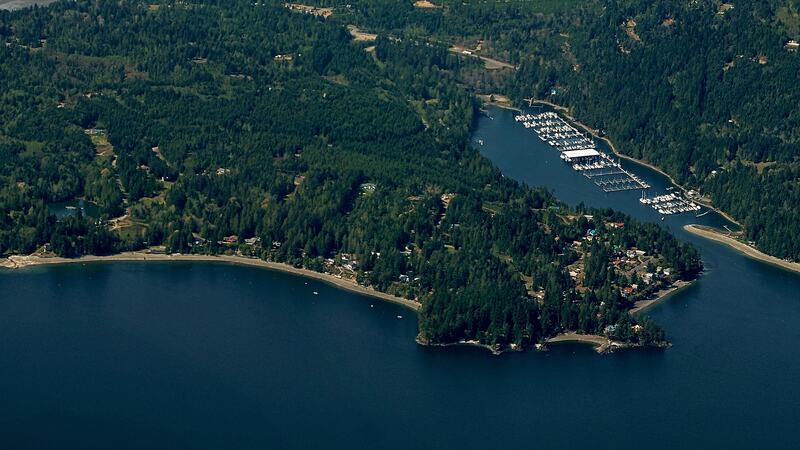 You’ll see our transient docks, covered moorage, then the fuel dock. We monitor channel 16 & 9 on the VHF radio. Vertical clearance is 31.4 feet at the west end and 50.7 feet at the east end (both are calculated at a MHHW of 7.0). Look HERE for more information on bridge openings. The Sisters, two substantial rocks about 200 yards apart, lie 0.4 mile south of the Hood Canal bridge on the west side. The rocks dry at half-tide. The southern rock is marked by a large lighted beacon, yet from time to time an unwary boat manages to go up on these rocks. Watch your navigation if you pass under the west end of the bridge.